0% Financing for 18 Months! LaserView offers several payment plans to help make laser vision affordable for almost every patient. With a variety of ways to pay, there should be nothing standing between you and our highly experienced surgeons. Laserview of CNY is celebrating its 21st anniversary in 2017, providing excellence in refractive and medical care. 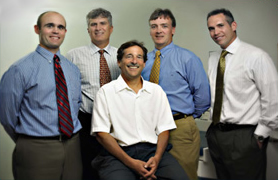 Our surgeons have local and established practices in Central New York. We provide state of the art technology, from our Blade-Free Lasik Procedures to customized treatments with the Wavelight EX500 laser. Your eyes are important to us! Our surgeons and their highly trained staff will perform all the tests during your consultation. Our surgeons will personally examine your eyes prior to surgery, this key step will not be delegated to a non-physician. Your surgeon will also see you at your post-op visits to ensure proper and healthy healing process as well as excellent results.